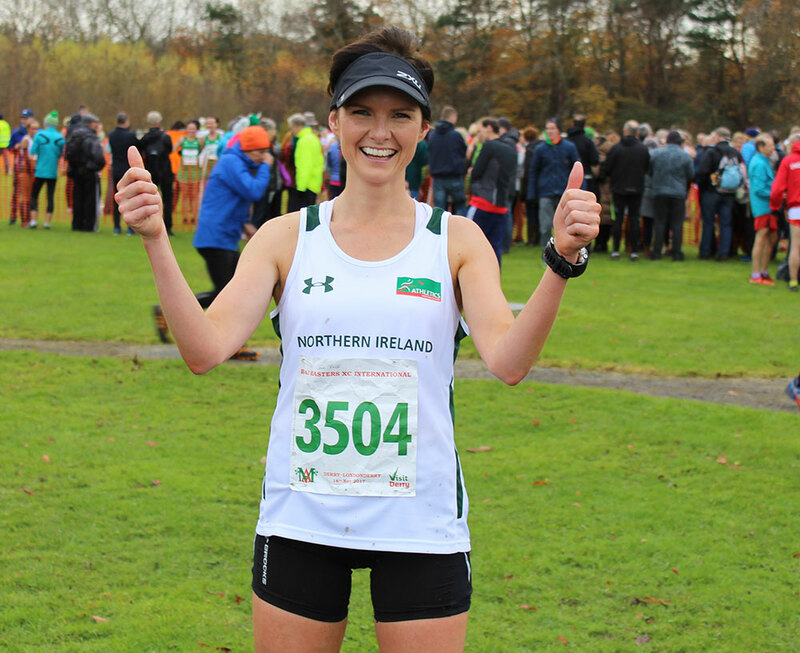 The British & Irish Masters Cross Country International Cross Country race took place on Saturday 18th November at Gransha Park where the Northern Ireland team secured a number of individual and team medals. Springwell RC had six members earning representative honours at this event. 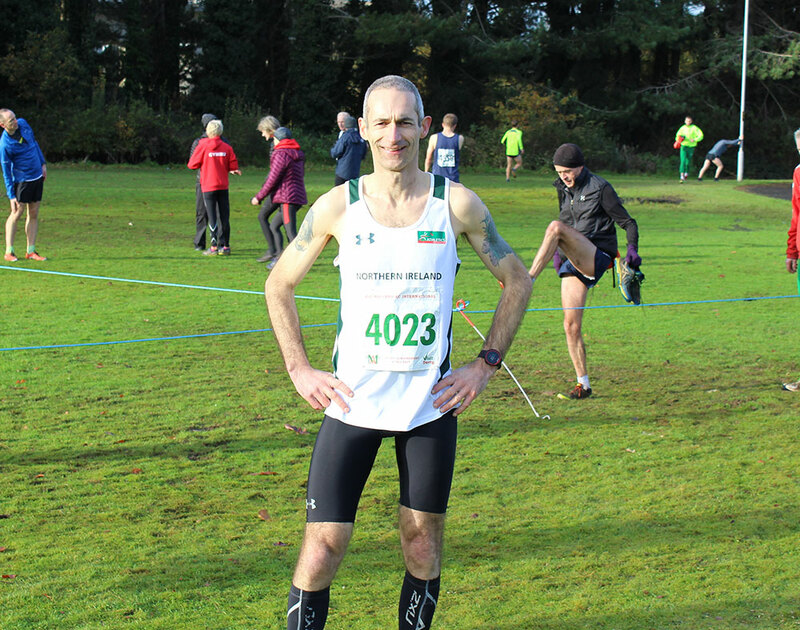 In the M70 event Jim Patterson (Newcastle AC) who has been in exceptional form this year, retained his British & Irish Masters International XC M70 title in style. Jim covered the 6k in 26.00, leading the Northern Ireland team, which included Tony Gray and David Seaton to third place and the bronze medal. In the same race Hannah Shields (City of Derry AC) took second place in the F50 category, crossing the line in 25.03. Hannah’s performance guided the Northern Ireland team, which included Grainne Neill and Penny Lindsay to second place, while Northern Ireland’s M45 ladies, Amanda Perry, Jackie McMonagle, Martina McMullan and Niamh O’Connell also picked up a bronze medal in the team competition. Declan Reed (City of Derry AC) was in top form as he secured a third place finish overall in Race 3, the 8k (M35-M45); this was enough to see Declan take third place in the M40 category in 26.33. For Northern Ireland Chris McGuinness (Foyle Valley AC) produced the performance of his life to claim a bronze medal in the M35 race. Showing true grit in the latter stages, Chris led the NI team home, taking third place, covering the 8k in 26.58. Chris and his M35 team mates Allan Bogle, Jonny Steede, Steven McAlary, Stephen Cassidy and Martin Cox collected silver medals after finishing in second place in the team standings. Slieve Gullion Runners’ Paddy Hamilton (Ireland) took second place in the M35 race in 26.39. Northern Ireland’s Eamonn White, Gary Henderson, Justin Reed, Gavin Mc Dermott and Nigel McKibbin all ran well to take third place in the M45 team competition. There were also team medals for Northern Ireland’s M50 with third place for Neil Carty, Duncan Bell, Philip Tweedie, James Turtle, Paul LeBlanc and Frank Sharkey, and the M55 team of David Clarke, Noel Connor, James Wallace and Lawrence Johnstone who took second. The M75 of Jim Platt, Hugh Young, Michael Gilmore and Ivan Baxter also claimed a bronze medal as they finished in third. On Wednesday 15th November almost 2,500 runners took part in the annual Run in the Dark around the Stormont Estate. In the 5k event Springwell RC’s Junior Captain, Aine McKinney had an excellent run finishing 16th overall and 3rd lady with a time of 21.51. In the 10k race club mate Deborah Gilliland also claimed a podium place, finishing 16th overall and 2nd lady in 41.26. Springwell RC’s Linda Gillen travelled to Las Vegas on Sunday 12th November for the Rock ‘n’ Roll Las Vegas Marathon. Linda had an excellent race finishing 382nd out of 2,978 finishers with a time of 3.50.33. Having run a personal best on Saturday 11th November in the 39 mile TTM to finish 3rd Helena Dornan then ran the EAMS midweek marathon on the 16th November in 3.56.09 to finish 7th and 1st Lady. On Saturday 18th November 62 Springwell RC members completed Parkruns at nine different venues with five personal bests being recorded. Debbie Tutty completed her 50th Parkrun at Portrush.